Many millions of Americans are on prescription statins… blood pressure medication and even aspirin… but a recent study out of California is showing that more than 11 million may have incorrect prescriptions for those medications! Many doctors use a set of calculations that help determine risk of a heart attack or stroke. But one of the issues is one of the main sets of data used for these calculations were based on people who were between 30 and 62 years of age in 1948… or 70 years ago. Researchers also found that old data may not have a sufficient sample of African Americans. Those are just two areas that led researcher to surmise the outdated data could put some patients at risk of over or under-medication. Scientists in Great Britain appear to have found another health benefit for green tea, or at least a compound in great tea. The findings could provide benefits for people at risk for heart attack or stroke. That compound… called EGCG… was being studied for its ability to reduce amyloid plaques in the brains of Alzheimer’s patients… but it’s also now showing it can also break up and dissolve similar plaques in blood vessels. The team is now looking into finding ways of introducing enough EGCG into the blood rather than have to drink large and what could be harmful amounts of green tea. After a busy week, go ahead and sleep in this weekend… it may help you live a little longer! Research out of Sweden found that even if you may not get enough sleep during the week… sleeping in on the weekends can help. The study looked at over 43 thousand people and looked at their sleep habits, following up 13 years later. Those who regularly slept five hours or less a night, including weekends, saw a higher mortality rate compared with those who regularly got seven hours. When short sleepers slept in on the weekends, there was no change in mortality compared to those who consistently saw seven hours a night. But maybe you can get too much of a good thing. Those who slept for eight or more hours a night had a worse mortality than those who got the seven hours. That’s a look at what’s making headlines in natural health this week. 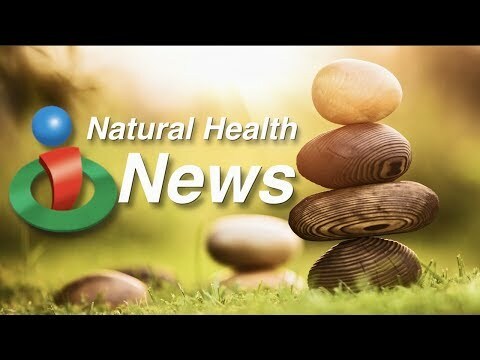 Make sure to go to iHealthTube.com and get our free email newsletter to stay connected!